Time to get your craft on! 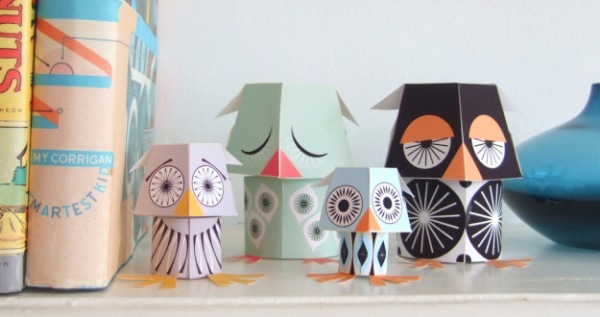 It’s our Babyology guide to kid-friendly indoor craft activities that are not only fun to make, but also great to play with. Recently we explored the world of adorable kids’ snacks that even the culinary-challenged can master. Well, we’re back with another failproof kid’s guide, this time featuring craft! Craft and I have a love/hate relationship. I love craft. It hates me. I can’t even manage to make the simplest of Pinterest projects look decent. Until now… Welcome to our 2015 craft round-up. Any one of these crafty projects and products is a perfect idea for your next indoor activity. And, best of all, not only do they provide great projects for you and your kids during the coming school holidays, but they also offer hours of entertainment after the crafts are finished. 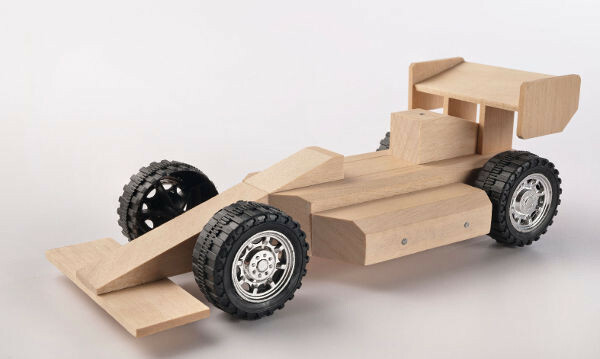 We absolutely adore these Buildme wooden toy kits, designed by an Aussie dad to encourage father-son bonding time. Of course, mums and daughters can get involved too. The Buildme wooden toy collection includes a monster truck, a long haul track, a racing car and a short truck and they come in different age categories for apprentices (ages four to seven) and tradies (ages eight to 12). Your little princess may be happier building her very own dollhouse with this creative DIY kit from the Paper Imagination House. 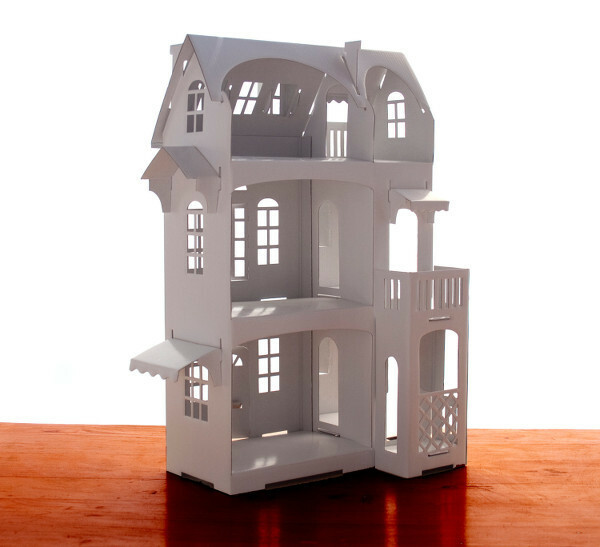 There are three slightly different houses available, all of them ready for you to easily fold and put together yourself. They’ve been pre-cut, pre-creased and sealed so it’s just a matter of folding and slipping the pieces into place. 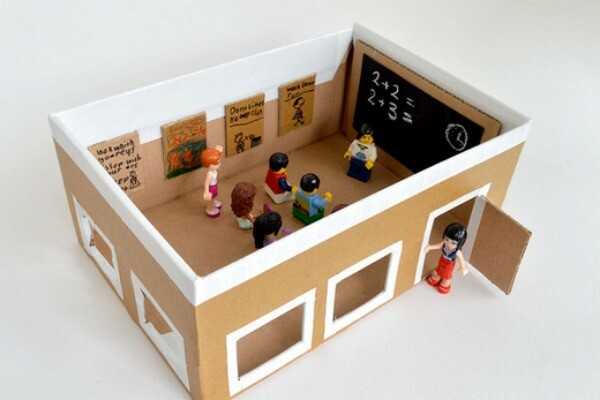 Another way to get crafty with pretend play is to create your very own school classroom with an old shoebox, such as this clever school classroom from Missy Moo. You will need an old shoebox, moving tape and different coloured card for the decorations on the wall. You can create all sorts of shoebox rooms, from a nursery for your daughter’s babies to a forest for your son’s Lego men. Make your budding superstars the centre of attention with their very own television found at Estefl Machado. 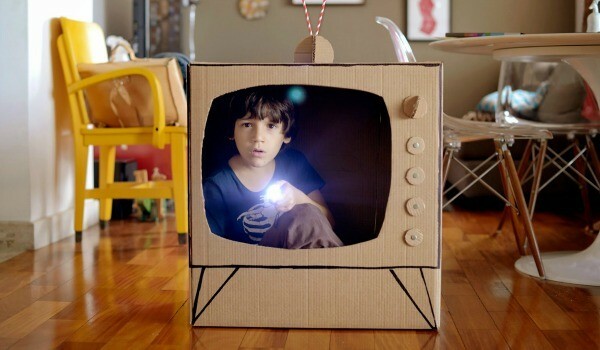 After building this clever cardboard craft together your little ones will have hours of imaginary fun putting on plays, skits and re-enacting their favourite shows. KiPod’s wooden toys often appear on our best product lists and their pom pom animal craft sets are too cute not to share. 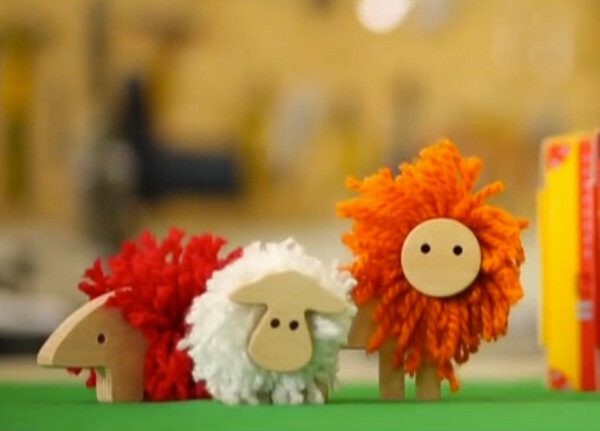 These adorable DIY animal kits are suitable for ages four and up and your kids can choose from a lion, sheep or porcupine. Each is made from soft wool and high-quality wood. 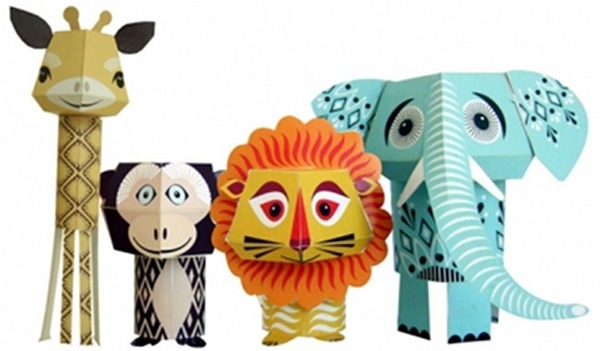 The Wild Bunch printable paper crafts from Mibo are another messy-free craft to try. There are a number of different animal sets including forest friends, owls and even Christmas critters for a perfect December craft. 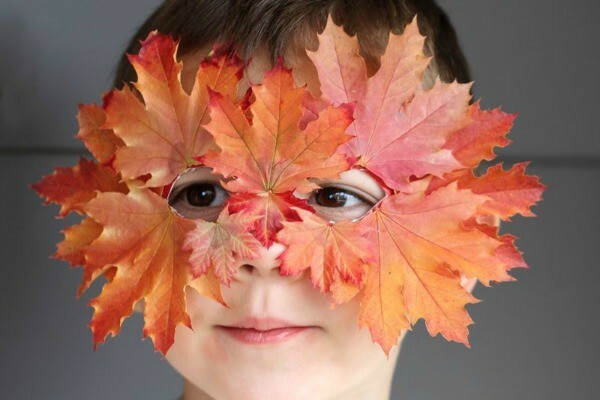 This is a perfect activity for a sunny winter’s day and for any superheros in your home – a DIY leaf mask from Small and Friendly. Take a walk around the park with your children and pick the perfect leaves to bring home. You will need a plastic plate, string and a hot glue gun to finish off these nature-inspired super hero masks. My kids both love making a massive mess in the kitchen when we bake. So these Yummy Project necklaces will go down a treat. 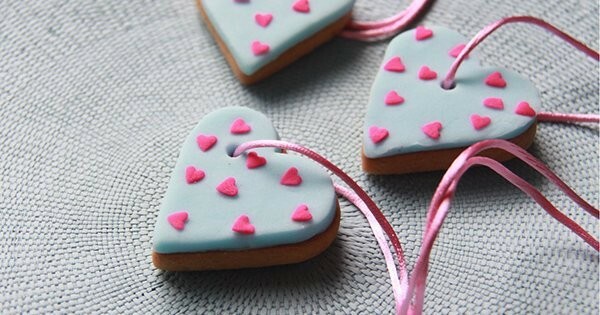 Yummy Project’s Craft in a Box Heart Necklace Kit comes with (almost) everything you need to make five gorgeous and edible heart biscuit necklaces including dry ingredients, a heart shaped biscuit cutter, yummy decorating fondant, heart decorations and pretty necklace cords. Speaking of mess, what’s more fun than playing with slime? How about when you make it yourself? 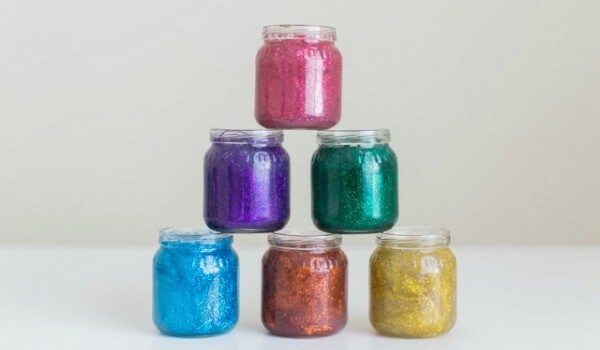 This rainbow scented glitter slime found at Modern Parents, Messy Kids is sure to be a hit and can be made by mixing glue, starch, coloured glitter and various essential oils. Finally, for the aspiring builders, designers and architects, check out this Tsumiki Blackboard Blocks and Chalk Set from Kitpas. 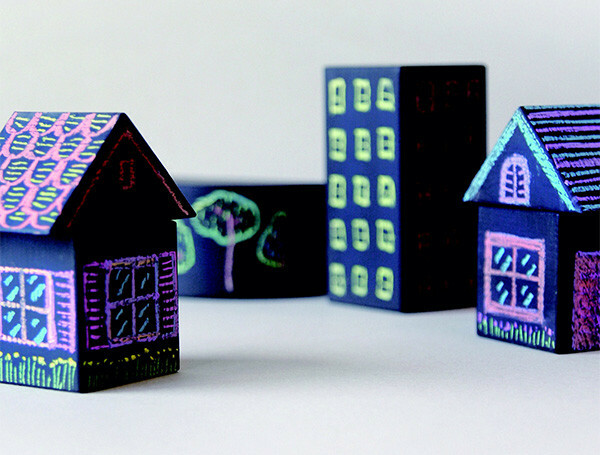 The set includes seven blackboard paint covered blocks, six chalk markers, a mini eraser and a chalk sharpener so your kids can design their very own city. Are you inspired to dig the glue gun and glitter out of the doodle drawers yet? Check out our arts and crafts section for even more crafty ideas to get their creative juices flowing.